In Part One of this series, we looked at the hormones that affect weight loss (or weight gain). In this article, we will look at how you can use your hunger hormones to your advantage. Or in one case, inhibiting them so they don’t interfere with getting rid of those extra pounds. Cortisol is a stress hormone. One of its side effects is to increase appetite. So, our first step is to reduce stress. This may not be easy if you have a very demanding job. However, there are still things you can do. Take up meditation. Build things into your life that you enjoy and which are relaxing. Often we fall into the trap of insisting we don’t have time, which means we often cut out time for relaxation and recharging. Budget time to just relax. The best time to think about this is when you’re wide awake and fresh, so first thing in the morning, sit down and make notes on how you’re going to add stress-reducing activities. This can even happen during your stressful workday. At lunch, take up reading or go for a walk. At the beginning or end of your workday, plan on what you can do to help relieve stress and unwind. Even if you only have fifteen minutes, that is fifteen minutes that can go into reducing stress. For example, taking just a few minutes every morning to consider and journal three things you’re grateful for can set you up right for the rest of the day. Also, research shows that listening to slow classical music can help to reduce stress. So add Bach and Beethoven to your playlist – or any other music you find relaxing. Last but not least: get plenty of sleep. Insulin and leptin are true weight loss hormones. The former causes fat cells to release calories, and the later suppresses hunger. 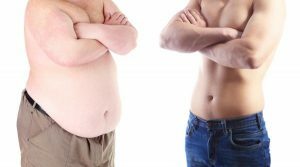 Resistance to these two hormones happens especially in obese individuals, but the process leading to resistance begins long before obesity sets in. So, it is important to arrest resistance to these hormones early. Drugs haven’t been particularly successful in defeating either form of resistance. The most effective means may be diet, followed by exercise. Many researchers believe leptin resistance is the leading cause of obesity. This suggests that conventional wisdom is wrong: we don’t become obese because we eat more and exercise less. Instead, greater appetite and lack of energy are results of leptin resistance. Obesity is the cart pulled by the leptin resistance horse. Insulin resistance and leptin resistance can be treated in the same way, since they both involve fat cells. Avoid processed foods. Processed foods tend to be high in sugars and fats. Get plenty of fiber. Fiber is not only necessary for digestion. It also provides bulk, giving us a fuller feeling and discouraging us from eating to excess. Exercise. Exercise not only burns calories. It also draws blood away from the stomach to the extremities, and may reduce hunger pangs. Get your protein. Protein provides building blocks for muscle and other tissues. Building and maintaining muscle requires energy, which helps encourage fat cells to give up their stores. Increases in grehlin correspond to increasing hunger pangs. Typically, researchers see a spike in grehlin before a meal, and a drop that lasts about three hours after a meal. Because grehlin is produced in the stomach, one way to combat it is to consume foods that are low in calories and high in fiber. This helps reduce hunger pangs of course, without adding substantial calories. Also, you may be able to manage your grehlin levels by “grazing”, or eating small meals spaced no more than three hours apart during the day. This ensures that your grehlin levels never drop precipitously, preventing the kind of hunger pangs that are most difficult to combat. Hunger hormones like these, carefully manipulated, may dramatically affect how well you keep those pounds off in the long term. Managing weight loss isn’t really about willpower, although there is some positive decision-making involved. In fact, research shows that our tendency to “yo-yo diet” is a result of high expectations of our ability to control hunger. You stand a better chance of long-term results through changes to your lifestyle, changes that let you manage these hunger hormones, helping to shed those pounds and keep them off.